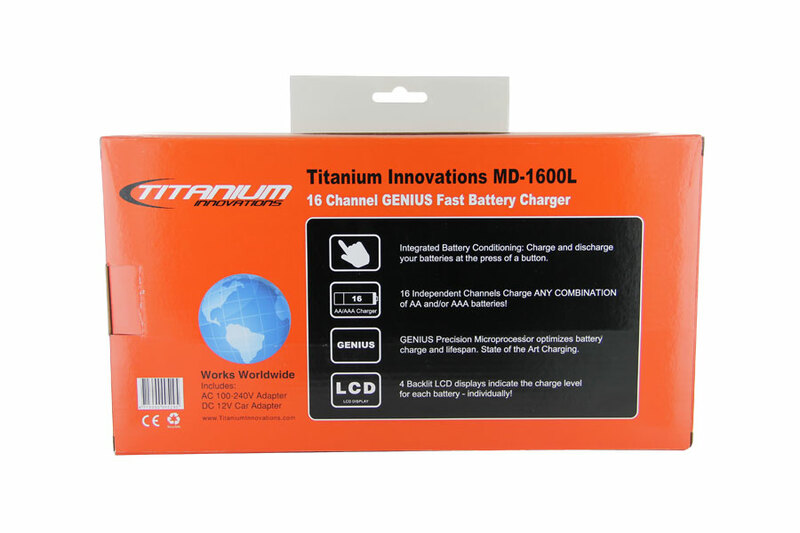 Titanium Innovations MD-1600L Universal Fast Smart Charger is the ultimate device for charging many batteries at the same time. 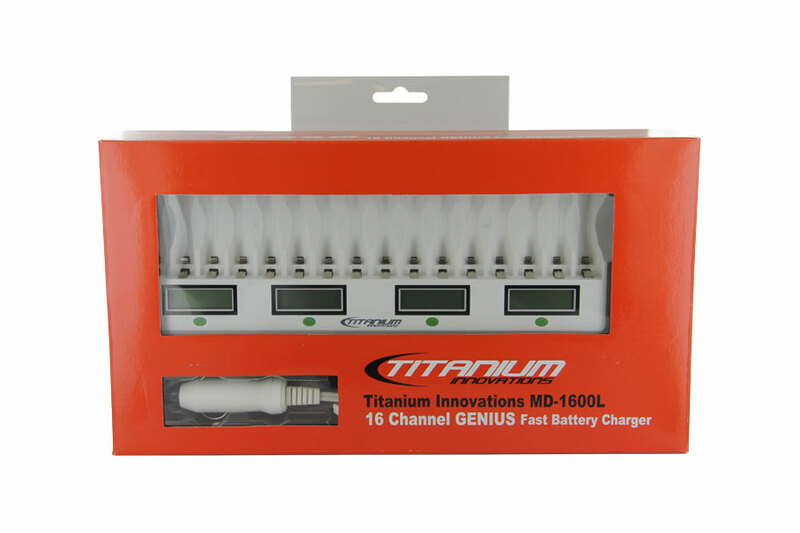 It can charge 16 Ni-MH AAs or AAAs simultaneously and due to it’s independent charging channel circuitry, you can have any combination of sizes and charge capacities on at the same time! 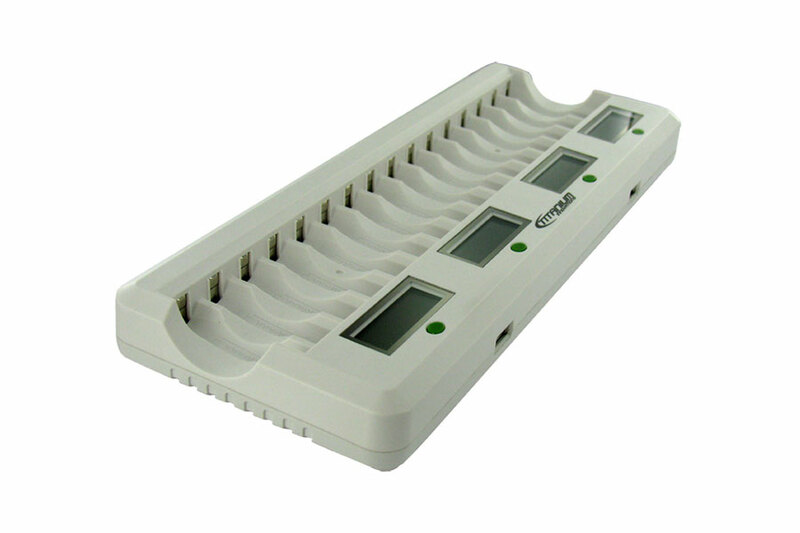 Not only do you save time by charging multiple batteries simultaneously, but it also features 2 powered (5V 500mA) USB ports so you can charge your other devices from the same plug. Curious how your batteries are doing? 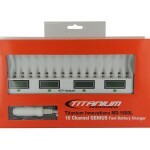 This charger also features a back-lit LCD display to show what the charge status of each cell is. 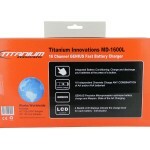 Want to restore your batteries to their original condition? Press a button and your batteries will be fully discharged and then recharged, removing any memory effect and bringing the cell to its optimal status. Includes both an AC wall adapter and a DC 12V cigarette lighter plug for universal use at home, in the office, or on the go!